Specializing in split rail & privacy style fencing. Various materials & other styles are also available upon request. 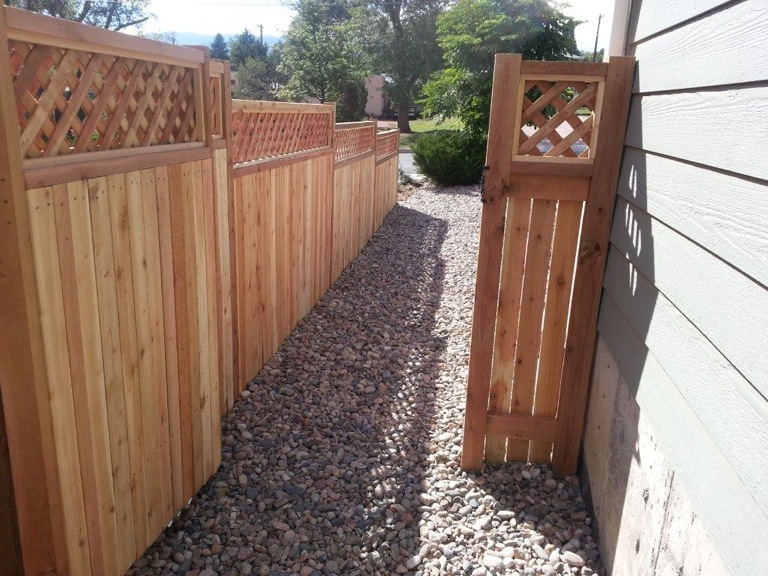 We custom build our fences to each customer’s specifications. To schedule a FREE estimate, please contact us with your specific needs. Colorado Barns will call for city locates before starting any style of fence. However, these locates only designate underground public utilities; which include, but are not limited to gas, electric, phone & cable. Colorado Barns is NOT responsible for damage to any private utility or sprinkler lines, but we request that each homeowner provide their own locates for those lines so that potential damage may be avoided. What is the average time it takes to build a fence? Do you provide destruction & removal of an old fence? Yes, by request, for an additional charge that varies depending on the size of the load. This expense will be provided with the estimate total. What depth do the post holes need to be? What width do the post holes need to be? Twice the width of the post being set.